The best thing about St. Patrick's Day is waking up the earliest of anyone else in the house to be the first to make it to the fridge to dye the milk. Although growing up it didn't really matter if you were first one up or not. Growing up with 6 kids in the house, there was always an extra gallon or two for the late riser to gleefully add a few drops into, refasten the lid, and shake to their hearts content. Gabriel hates it, but old habits dye (ha!) hard! And of course, I like to focus on that last one! 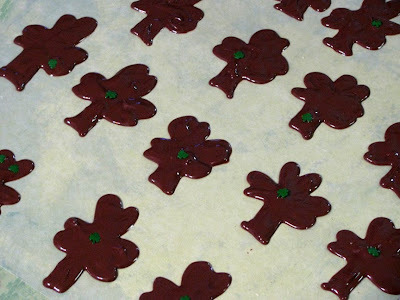 This treat is a favorite in Ireland, (and Disneyland(.com) where I got the recipe) plus, it is appropriate for the entire family. 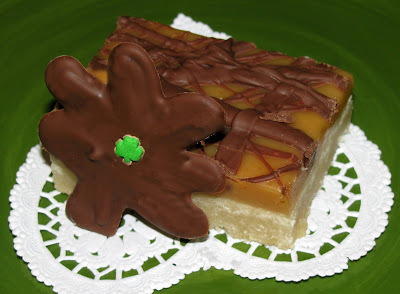 It's buttery bottom layer fuses with the top chewy toffee layer to create a simple yet delicious and satisfying treat. 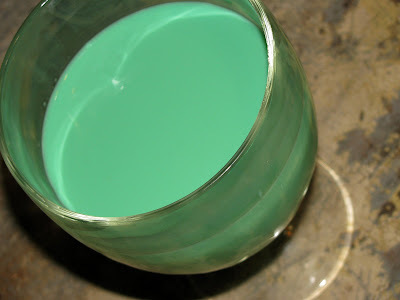 I love green milk!!! Those pictures are great! 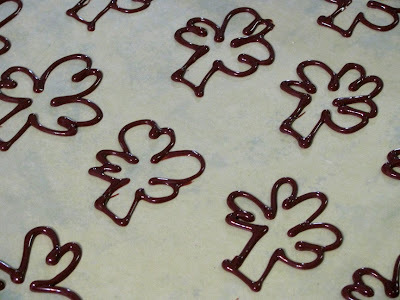 love the shamrock idea. too cute, and such a great decoration!!! 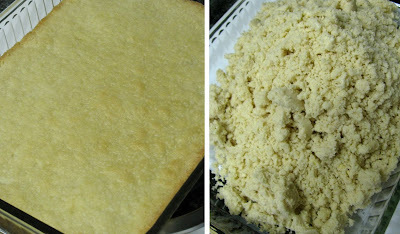 Mmmm, the shortbread looks so yummy! YOU ARE TRULY AMAZING! WHAT ON EARTH GIRL!? you are AMAZING!!! and. oh my! green milk! haha you are hilarious!